Westbrook caught three of 10 targets for 10 yards and lost a fumble in Sunday's loss at Houston. He finished the season with 66 catches for 717 yards and five touchdowns, while carrying nine times for 98 yards. 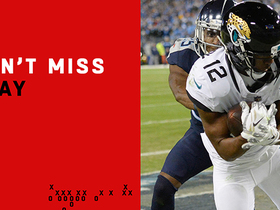 Westbrook caught seven of eight targets for 45 yards during Sunday's 17-7 win over the Dolphins. He also rushed once for nine yards and did not complete his only pass attempt. 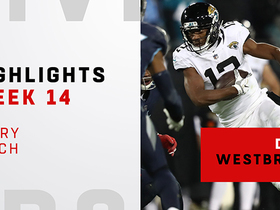 Analysis: Westbrook looked better than his stats indicated during the Week 16 win, bailing out quarterbacks Cody Kessler and Blake Bortles on multiple errant passes. 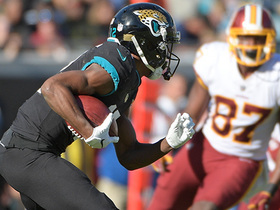 The second-year pro now leads the Jaguars' receiving corps in receptions (63), yards (707) and touchdowns (5), and he's been a rare bright spot in Jacksonville's struggling offense. 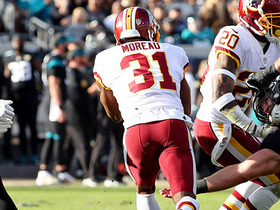 Westbrook caught three of five targets for 21 yards while adding a 20-yard rush and a 74-yard punt return touchdown in Sunday's 16-13 loss to the Redskins. Analysis: This game didn't feature much offense with Josh Johnson and Cody Kessler providing a subpar display at the quarterback position, but Westbrook took things into his own hands with a 74-yard punt return touchdown just before halftime. Westbrook was also the team's leader in receiving yardage, showing just how inept the Kessler-led passing game was. 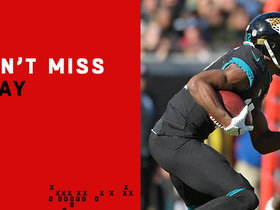 Despite his strong recent play, Westbrook will be a risky fantasy pick against the Dolphins in Week 16. 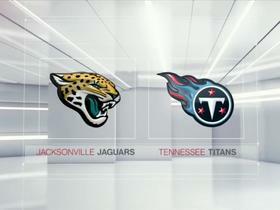 Westbrook brought in seven of 10 targets for 88 yards and a touchdown in the Jaguars' 30-9 loss to the Titans on Thursday. Westbrook caught three of five targets for 25 yards and rushed once for minus-1 yard in Sunday's 6-0 win over the Colts. 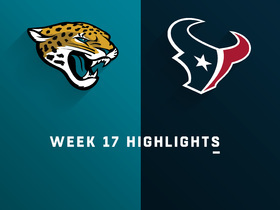 Analysis: The Jaguars managed to break their seven-game losing streak Sunday, but that had little to do with an offense that totaled 211 yards. Westbrook hasn't eclipsed 50 receiving yards since Week 5, and Cody Kessler remaining at quarterback this week is unlikely to increase production. The 25-year-old is a touchdown-reliant fantasy option, and his four TDs on this season make him a major boom-or-bust proposition in an unstable offense. Westbrook caught three of four passes for 44 yards and a touchdown and added a 43-yard run during Sunday's 24-21 loss to Buffalo. Westbrook caught two of four targets for 19 yards in Sunday's 20-16 loss to the Steelers. Westbrook caught five of 10 targets for 30 yards and rushed twice for 13 yards in Sunday's loss at Indianapolis. Analysis: Westbrook was targeted consistently throughout the afternoon but failed to make anything of said opportunities, with his longest catch of the day going for 11 yards. 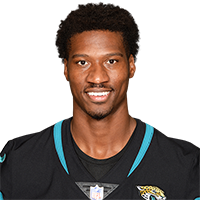 The 24-year-old still played 60 of 75 offensive snaps -- good for second among Jaguar wide receivers -- but has failed to exceed 40 receiving yards in each of the last four games. 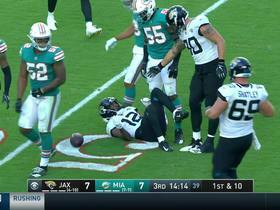 Jacksonville Jaguars wide receiver Dede Westbrook returns punt 74 yards for a touchdown. 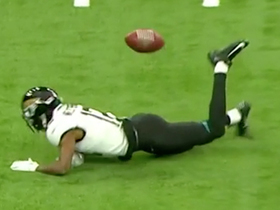 Jacksonville Jaguars wide receiver Dede Westbrook rushes for a 20-yard gain. 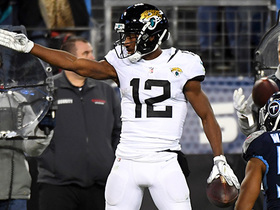 Watch every catch from Jacksonville Jaguars wide receiver Dede Westbrook as he pulls in 8 catches for 88 yards and a touchdown.